Perfect hygiene for the life of your equipment. 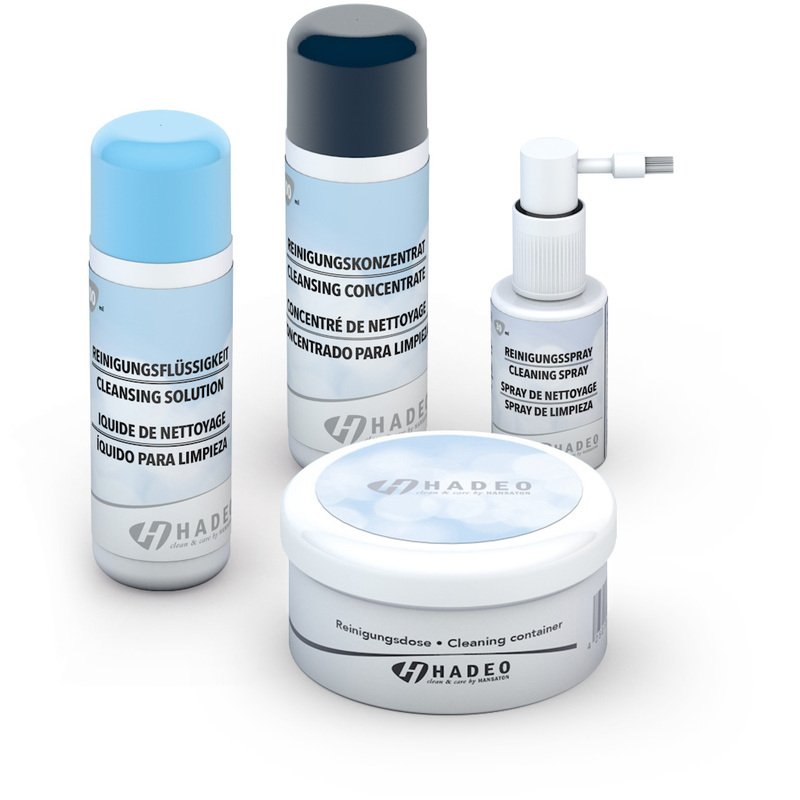 Customers are especially fond of the HADEO DRYBOX 3.0 AVANTGARDE, Its 3-phase cleaning process uses a special new form of UV radiation, effectively reducing germ counts to clinically pure levels. When used properly, conventional care products such as HADEO cleaning tissues or HADEO cleaning tabs also guarantee excellent hygiene and long hearing system life.